An oil exploration ship that was being repaired at the Cochin Shipyard was the site of an explosion today, resulting in several deaths. The incident took place on oil exploration vessel Sagar Bhushan, which is reportedly owned by ONGC. According to local media, at least 15 workers have been injured. Out of these, 4 people are reported to have died. However, some media reports quoting hospital authorities put the figure at 5. Two of the casualties have been named as Kevin Gavin and Ramshad by local media. One of the critically injured has been reported to named Sreerup. The deaths are being ascribed to burn injuries and suffocation. The toll may rise as several of the injured are in a critical condition. The injured people have been rushed to the nearby Medical Trust hospital. The incident happened when works such as welding were being carried out on the ‘water ballast’ of the ship. It has also been suggested that the explosion may have been the result of a gas leak inside the ship. “We are not sure what happened today. We have been working on this ship from morning to evening for several days,” said John Varghese, a representative of the workers’ union at Cochin Shipyard. He termed it a ‘sad incident’ and said investigations will reveal whether the explosion was caused by human negligence or some other reason. 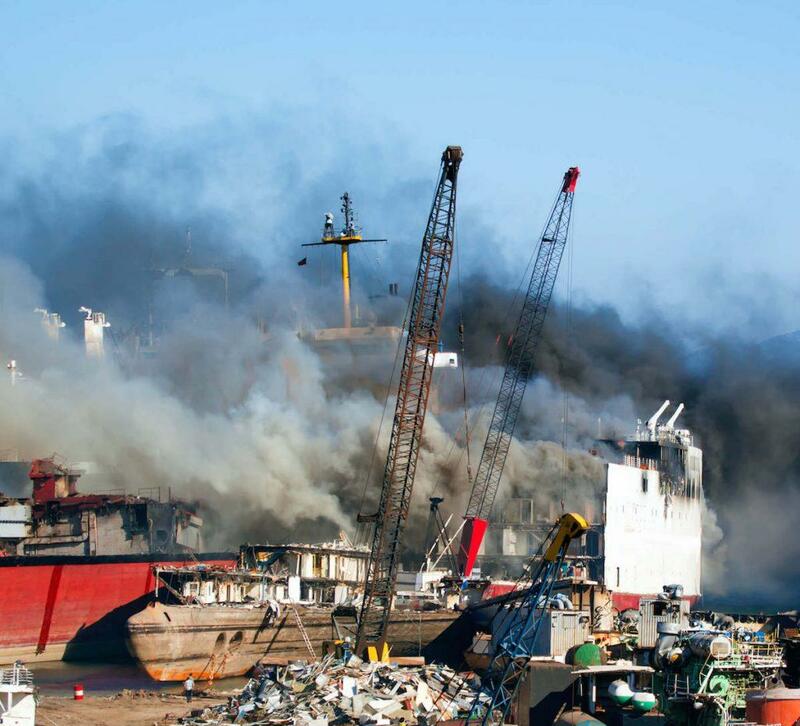 Speaking after around two hours of the blast, Varghese also said the ship continues to be engulfed by smoke. The Cochin Shipyard is yet to confirm details of casualties, though they have confirmed the news of the accident, which is expected to have taken place at around 10:45 AM today. Some of the injured have burns exceeding 50%, media said. Police authorities said all the workers inside the oil tanker have been brought out of the ship.